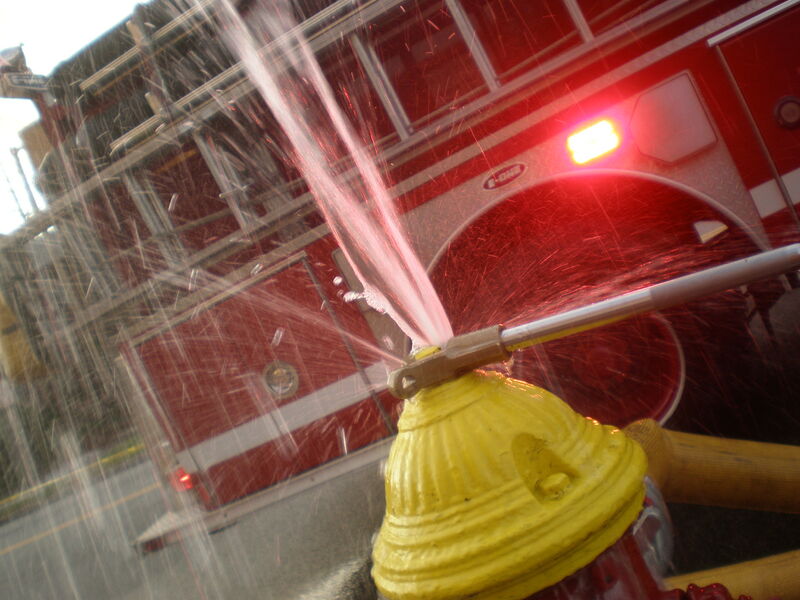 How often do you see a fire hydrant doing its job? Do you know what I mean? So when I saw it, I got excited, took my camera out, and decided to take a picture, while my friends kept walking towards my friend Johnny’s apartment a few houses down. Afterwards, I ran after them and found them snickering. “That fireman was looking at you!” Tram said, laughing. So, there it is. The beginning of a pretty fun night. Watched two crazy movies at Johnny’s house. I didn’t think I could make it because I really don’t think I have the attention span to watch an entire movie, let alone two back-to-back movies. Samurai Princess – This Japanese movie was crazy. Gore, bad dubbing, hilarious characters, terrible effects. Look it up. Then watch it. Blindness – a very interesting movie. I really liked it, although there were some parts that dragged a bit. I might have been focusing too much on the scientific aspect of it more than its social commentary. As you can see, I can’t critique movies very well. 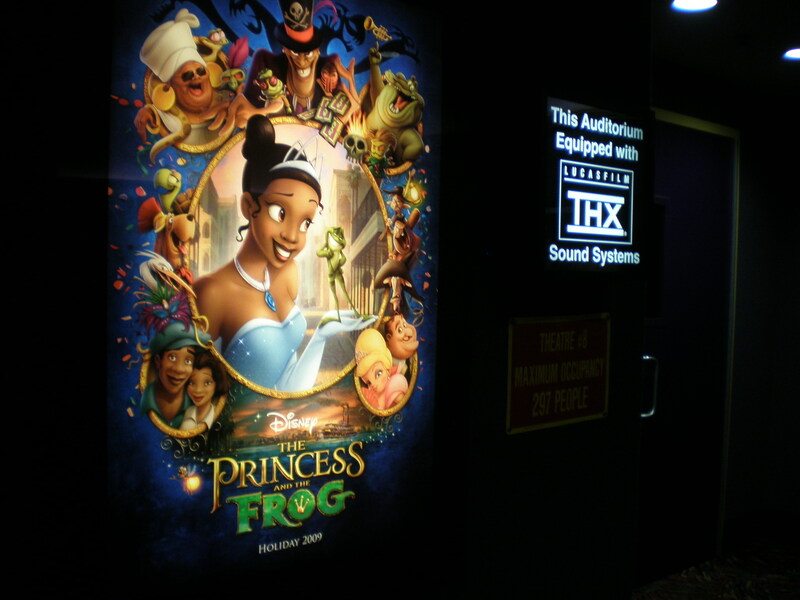 A friend and I decided a few weeks ago that we were going to watch “The Princess and the Frog” when it came out. And that we did. Well, I was never immersed in the Disney craze of the 90’s. Although I’ve watched some of the movies, I don’t see them as part of my childhood. (Things in the Philippines aren’t the same as those in the U.S.) Don’t get me wrong. I find some of the movies and the music pretty incredible, but I wasn’t one of the awestruck little children that marveled at the movie screen back then. In fact, I think it was because of my lack of exposure to the Disney movies when I was young that really prompted me to watch this one in the first place. The bottomline is, I didn’t have this perspective to judge “The Princess and the Frog,” which pretty much lead to me finding the movie quite enjoyable. There were definitely some things that I felt were geared towards a younger audience. Well, of course. It is rated G. Nevertheless, I thought the movie was good, to say the least. What really got to me was the music though. Wow. I love jazz, so I loved how it was the theme of pretty much all the music. I want the soundtrack now. I watched “The Ugly Truth” with some friends today. I haven’t been to the movies in a long time, so it was nice to revisit the dark room with the interesting previews, saying in my head, “Ooh! I want to watch that movie!” knowing that I probably won’t. “The Ugly Truth” talked about relationships and how guys really see things when it comes to women. I really couldn’t relate to it. I guess I’m not like that. When life hands you hours of rain, watch a Spanish movie, and make a Vegan pizza at Stefany’s. Literally, perhaps 80% of my day was spent in front of this thing. I was working on a video since 12:00 AM until around 5:00 AM. I slept for a few hours and continued to work on the video as soon as I woke up. I stayed inside my room, laboring on something towards my mere satisfaction. Productive? I don’t know.